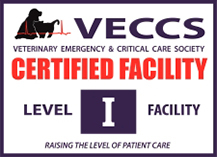 Charleston Veterinary Referral Center is the most advanced and comprehensive emergency and referral practice in the greater Charleston area. We see appointments by referral from your primary veterinarian and are open and fully staffed for emergencies 24 hours a day, 365 days a year. Learn more about our services. Download our Client Registration Form or use our online pre-registration form. Feel free to browse our Frequently Asked Questions section to learn more about CVRC.